Continuing a look at Spider-Man’s highlight in the past 50 years, there are more aspects of Spider-Man that has made him one of the most endearing and popular superheroes ever created. Though Spider-Man isn’t the most powerful superhero, his pluck and penchant for being in the wrong place at the right time make for captivating stories. Many times these out-of-his-element tales often took place in the pages of Marvel Team-Up. Other times he was a critical element in some wide-reaching storylines and comic books. For instance, it can be said that he was the heart of the Civil War mini-series. While that story dealt with Captain America and his forces squaring off against Iron Man and his side, Spider-Man was trapped in the middle of the war and both sides. At first, he supported Iron Man’s side about registering superhumans and revealed his secret identity to the world (Civil War # 2). But by the time the mini-series ended, Spidey switched sides and paid a terrible price as he was ostracized and his aunt nearly lost her life. 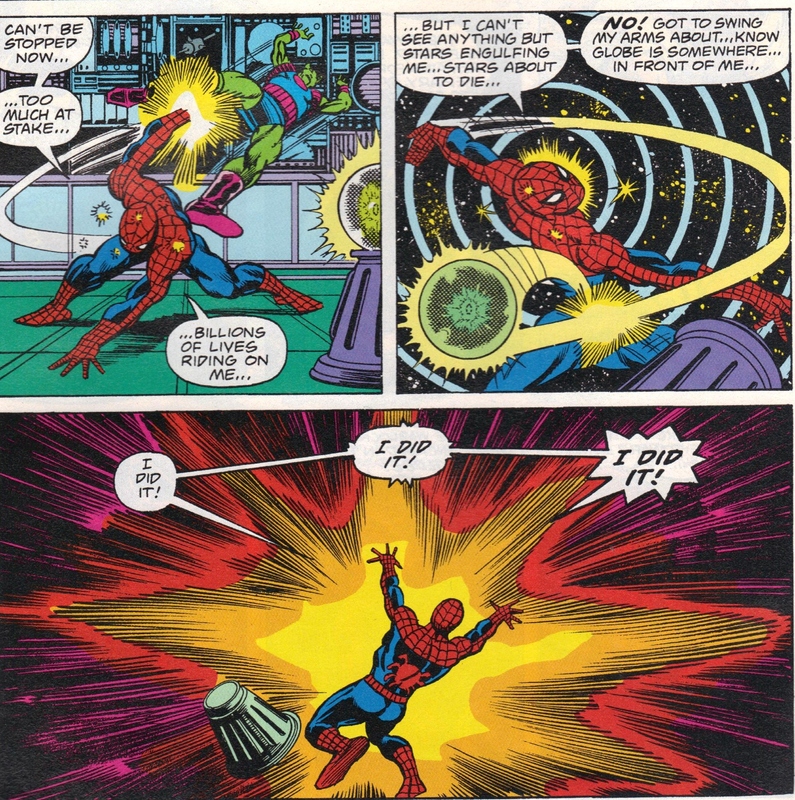 In other storylines, Spider-Man turned out to be instrumental in taking out an overly powerful enemy. Marvel Two-In-One Annual # 2 had him and the Thing taking on Thanos, who wanted to destroy our sun, and was holding the Avengers prisoner. After the Thing was defeated by Thanos, Spider-Man, as usual, was plagued with self doubt that he was out of his league. However, he overcame his inhibitiosn and freed the Avengers to fight Thanos. That wasn’t all, he alone freed the spirit of Adam Warlock to defeat Thanos, which turned the tide of the battle. Throughout this story, the metaphysical entities Master Order and Lord Chaos claimed that Spider-Man was chosen by them to fulfill his destiny by doing these actions. Recent stories have shown Spider-Man taking on a larger role in saving the entire world and more. 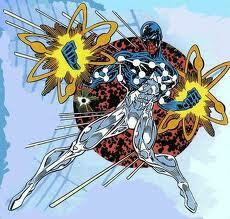 Who can forget the time that he was endowed with the cosmic powers of Captain Universe? Possessing fantastic powers, he even punched the Hulk into orbit, Spider-Man was given the powers to fight the menace of the Tri-Sentinel (The Amazing Spider-Man # 329). The most recent one occurred in the “Ends Of The Earth” story arc in The Amazing Spider-Man # 682-687, but more memorable stories include those featured in The Amazing Spider-Man # 678-679 (“I Killed Tomorrow”) where Spider-Man time travels in a desperate attempt to prevent New York City’s destruction and in The Amazing Spider-Man # 48, 49 (Volume 2) and The Amazing Spider-Man # 500. That story (“Happy Birthday To Me”) had Spider-Man squaring off against the mystical foe Dormammu. One of the most remarkable qualities about Spider-Man is his large and colorful rogues gallery. Many villains have been introduced over the years and most of them are quite memorable. They include the Lizard, Mysterio, the Sandman, Electro, the Chameleon, the Shocker and the Kingpin. 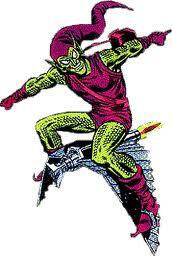 But two villains vying for the dubious honor as his deadliest foe are Doctor Octopus and the Green Goblin. Introduced waaay back in the early issues of The Amazing Spider-Man (issues # 3 and 14 respectively), these characters were instantly popular. While Doctor Octopus continuously plagues the Wall-Crawler (and has a major role in the upcoming 700th issue of The Amazing Spider-Man) the Green Goblin took the mantle fairly early as his greatest enemy. That was because he discovered Spider-Man’s secret identity (The Amazing Spider-Man # 39, 40). Those two issues revealed that he was Norman Osborn, the wealthy father of Peter’s best friend Harry. Afterwards, Osborn would use that knowledge of Peter’s secret identity to deadly affect over the years. 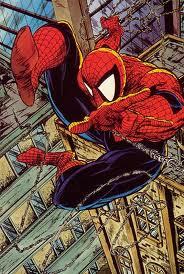 This culminated in his killing Peter’s girlfriend Gwen Stacy in The Amazing Spider-Man # 121. While the Green Goblin and Doctor Octopus would capture readers’ attention for decades, one villain made a stunning debut in The Amazing Spider-Man # 299 and 300and temporarily took the mantle of the top Spider-Man villain. That was Venom of course. 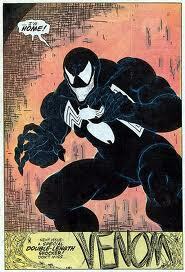 Basically an anti-Spider-Man, Venom had all of Spidey’s powers but was malicious and homicidal. Although Venom was an instant fan favorite, Marvel overused the character with too many appearances and even turned him into a type of anti-hero. The result was that the character lost his edge. Currently the person inhabiting the Venom costume is Peter’s friend Flash Thompson and the incarnation is more heroic. There were other villains who impacted Spider-Man greatly. A more recent one was the mysterious Morlun, who first appeared in The Amazing Spider-Man # 30 (Volume II). Little is known about this powerful foe, only that he is extremely strong and feeds on “totemic” life forces. His quest to consume Spider-Man’s life force culminated in The Other storyline, crossing over several Spider-Man comics (Friendly Neighborhood Spider-Man, Marvel Knights: Spider-Man and The Amazing Spider-Man), Spider-Man learned he was slowly dying and had to face Morlun. In The Amazing Spider-Man # 526 a vicious battle with Morlun left Spider-Man blinded in one eye and near death. However in the next chapter of the story (Friendly Neighborhood Spider-Man # 3), Spider-Man instantly underwent a metamorphosis that gave him stingers on his hands and a savage demeanor that he uses to kill Morlun. Afterwards, Spidey dies and is reborn with new powers. 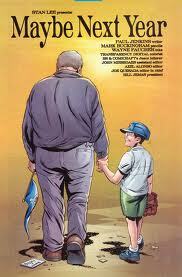 Of course, with the new altered history the relevancy of this storyline isn’t known. Aside from the Green Goblin, the villain that probably most got under Spidey’s skin was Kraven the Hunter who was introduced in The Amazing Spider-Man # 15. Possessing superhuman strength and agility, Kraven was a big-game hunter obsessed with hunting down Spidey and defeating him. Kraven finally succeeded in the famous storyline Kraven’s Last Hunt. In the first chapter of the story (Web Of Spider-Man # 31), Kraven, realizing that his powers are fading, decides to go all out and defeat his long-time foe. At the end of the issue, he actually beats Spider-Man and shoots him dead. In the subsequent parts of the story, Kraven assumes Spider-Man’s identity but not before it was revealed that Spider-Man was only tranquilized and buried alive. He escapes from his coffin and rushes to confront Kraven only to find out that he had committed suicide because he felt that his life was complete (The Amazing Spider-Man # 294). It took a while for Spider-Man to recover emotionally from that ordeal. But he had his personal life to get him past his superhero problems, even if his civilian life was a constant headache. One of the most endearing qualities about Spider-Man’s stories are how silly they get and how he has to deal with everyday problems. Some of Spidey’s best tales cast him in hard-luck type of situations that are downright humorous to readers. 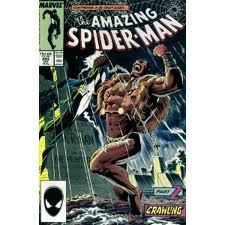 Take for instance The Amazing Spider-Man # 258. That’s the one where it’s revealed that the black costume is actually alive. 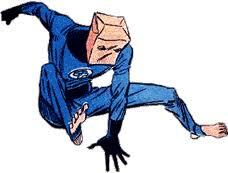 After Spider-Man manages to remove the costume with the help of the Fantastic Four, he has no choice but to go home wearing an ill-fitting Fantastic Four costume with a bag on his head and a “kick me” sign taped to his back. He had the Human Torch to thank for that last gag. But that wasn’t the first time he had wardrobe problems. In The Amazing Spider-Man #213, he was forced to dunk his costume in bleach, which of course bled out his famous red and blue colors. Later, he was forced to go out fighting wearing a pink/light blue outfit. Putting aside his costume headaches, there was the times Spidey had to endure the “horrors” of suburban crimefighting in The Amazing Spier-Man # 267, ridiculous villains (like the Hypno Hustler in Peter Parker, The Spectacular Spider-Man #24, and the White Rabbit in Marvel Team-Up #131) and the infamous Spider-mobile introduced in The Amazing Spider-Man # 130. Basically a dune buggy with Spider-Man detailing, the vehicle made the Edsel look like a Corvette. 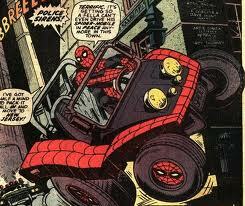 What made matters worse is like some New Yorkers, Spider-Man had no clue on how to drive a car. Fortunately for readers and the Wall-Crawler, the vehicle didn’t last too long. In the series Peter Parker, Spider-Man, writer Paul Jenkins presented some very human and poignant looks at Peter Parker and how he sees his life. Many times, these issues had many personal and touching moments such as when Peter confides to his Aunt May about his life as Spider-Man (Peter Parker, Spider-Man # 50), or when he reminisces about the last baseball game he attended with his Uncle Ben (Peter Parker, Spider-Man # 33) and even tried his luck as a stand up comic to no avail as a tribute to Mary Jane, who at that time was believed to be dead (Peter Parker, Spider-Man # 21). NOTE: The artwork above was done by the following greats: Todd McFarlane, Jim Starlin, Erik Larsen, Ross Andru, Todd McFarlane, Mike Zeck, Ron Frenz, Ross Andru and Mark Buckingham. Pretty good selection of arcs and single stories, especially those DD selections. Frank Miller was at his best when writing those DD classics.